Keno is essentially a game of chance, so there isn't as much room for employing strategy as there is in, say Sic Bo or Punto Banco / Baccarat. 1. How many numbers to choose. 2. The payout for matching those numbers. How many numbers you choose will depend on your risk profile (see below) - i.e. are you a higher risk player looking for the maximum payout, or are you a slow, steady player who'd prefer to get consistent smaller wins? Check out the latest bonuses available to Keno players at our recommended casinos. 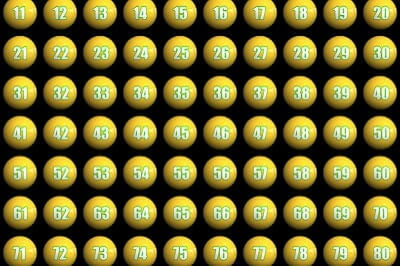 Once you know how many numbers you're looking to match, you can make the next decision - where to play. Different online casinos have different payouts for the same results, so it's extremely important to choose the casino that will give you the maximum payout on a winning bet. Category D : Miami Club, Black Diamond, Guts (Various). As an example, if your preference is to match just 3 numbers, one of the Category B casinos would pay the highest at 47 to 1. If you were looking to match 7 numbers, a Category A casino would pay 8,000 to 1, much more than a Category D at just 100 to 1. Ladbrokes Casino have a great selection of Keno games to choose from, including (in the GAMES section) Ultimate Keno, Hot Shots and Balls. If you're a serious Keno player, Ladbrokes has everything you need! Bovada Casino are offering new players 3 deposit match bonuses up to &dollar;1,000 each, that you can use on Keno!